With interest in Kenner retro vintage style Star Wars action figures growing in popularity, Super7 brilliantly pulled one of the more pleasantly surprising reveals by announcing that they will be producing retro action figures based on Kenner's unproduced 1979 Alien prototypes. On display were unpainted copies of Kane in spacesuit and an Alien Xenomorph. The figures will be faithfully designed and articulated to that era and so will the packaging. Other figures planned include Ash, Dallas, and Ripley. The assortment is appropriately branded as ReAction. A set of '70's style Alien Burger King styled glasses are also planned. Also shown at their booth was an unpainted prototype mold of their forthcoming and highly anticipated Super Shogun Fett. 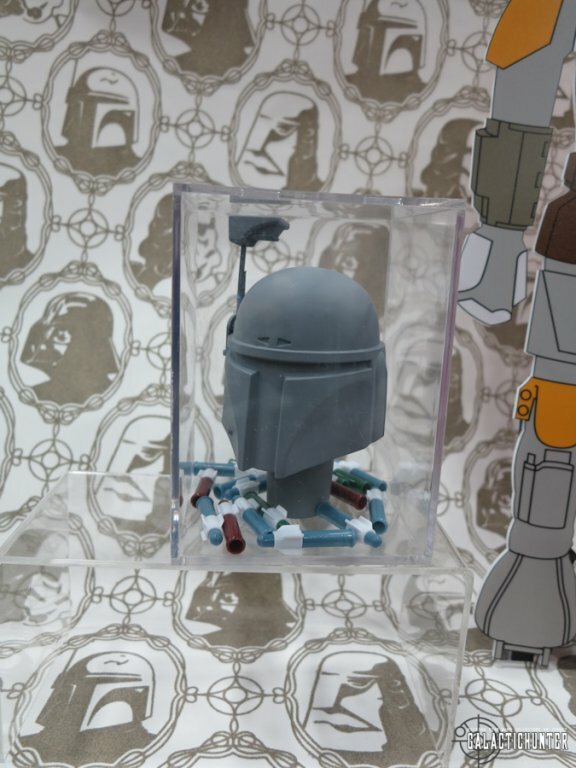 Click here to view more photos in our SDCC Super7 gallery.